Beautifully crafted from bamboo with unique leaf design. Luna’s Percussion line just got more exotic by expanding the already popular Bamboo Series. For centuries cajons have held a key supporting role in the history of music. Luna Cajons are built to enhance all aspects of the performance from visuals aesthetics to functionality to comfort. 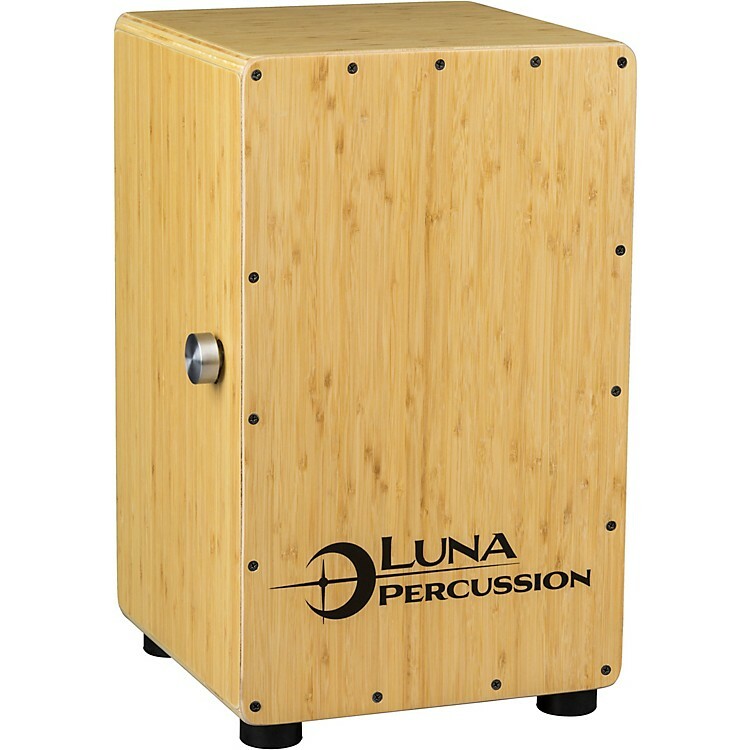 Luna takes the traditional cajon a step further by introducing to eye-catching bamboo cajon. From the leaf design around the sound hole in the rear to the smooth ripples along the natural bamboo wood body, people will be stunned by this this cajon’s natural beauty. Ensuring a sturdy structure, the new cajon is crafted using sustainable bamboo wood, producing deep and punchy bass tones off the bamboo front piece. With a built in snare, percussionists can control the beat of the music and alter the rhythm of the music at any pace with the easily accessible quick switch of a lever for on and off control. Each comes with a gig bag and a soft foam pad for comfort when sitting on the cajon. 12 x 12 x 19"